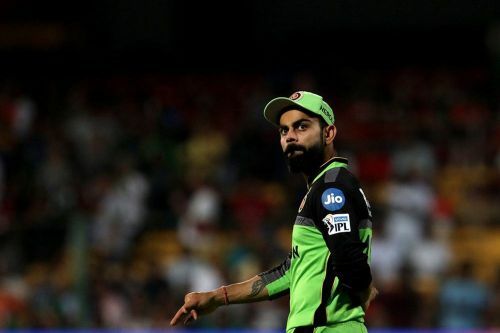 Now it's time for @imVkohli to do the same as done by Delhi Daredevil's Captain @GautamGambhir in #ipl2018, and that is to step down from captainship. It is good for team and better for you ..Nothing wrong in that . #RCBvDC @imVkohli plz leave my city and go. You are a curse to our team. 6 defeats are you not ashamed @RCBTweets bloody you guys don’t have guts to throw useless captain out. Shame shame ! आईपीएल 2019: रॉयल चैलेंजर्स बैंगलोर की लगातार हार के पीछे क्या है वजह ?